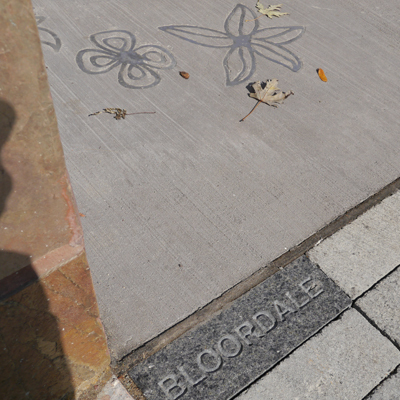 Bloor Sidewalk Gardens: 500 hundred people contributed flower drawings in the Bloordale community, 130 were recreated in stainless steel and inlayed into the Bloor Street sidewalk. 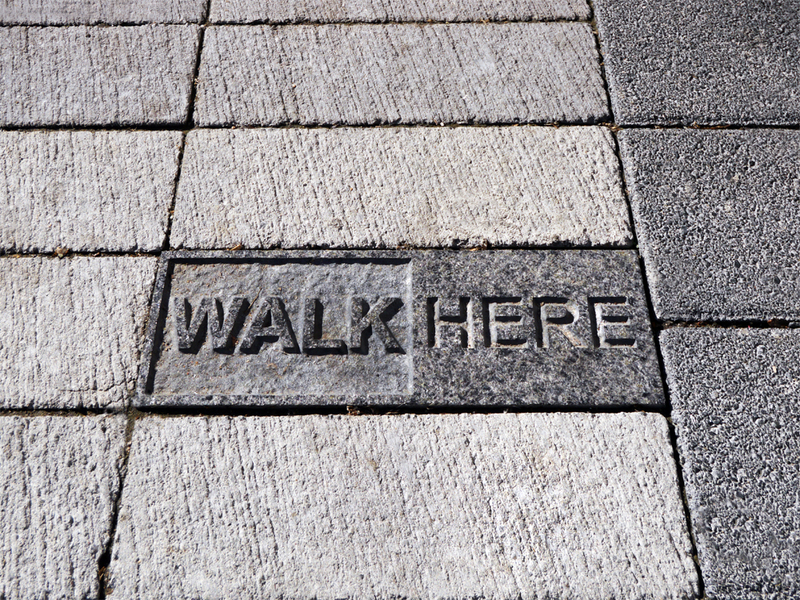 Additional, street name paver stones and Walk Here signs were inlaid. New in-ground trees were planted with tree guards that doubled at bike racks and 6 small side-street gardens were constructed at part of the the street scape renewal. The garden space at Bloor and Brock that was designed to function as an area hub for community pop-up events. Other garden spaces included a community garden and sitting area incorporating benches. Completed in 2014.
the Bloordale BIA, B.I.G., Sanscon Construction Ltd. and The City of Toronto. Bloordale locations on Bloor Street, Toronto between Dufferin St. and Lansdowne Ave.
A birth, celebration, a tragedy, success, an affair about love, a death, an expression of empathy, regret and good-will—these are universal, sometimes life-altering occasions when people give or receive flowers. Over three years Bloor Gardens, has brought nearly 500 Bloordale members to mark important occasions when they gave or received flowers. 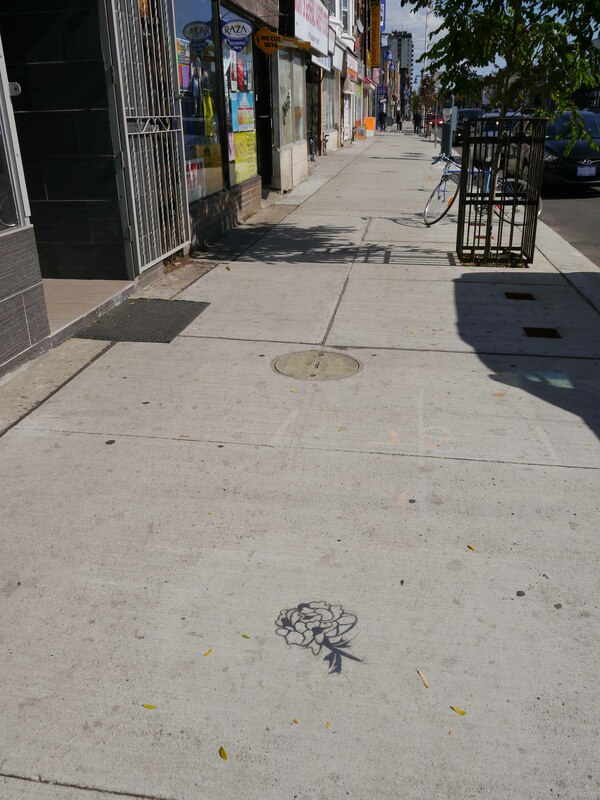 The flower were drawn in workshops and events: at the BIG festival, a daycare, a seniors home, high-schools, a homeless shelter and translated by artist Dyan Marie into 130 stainless steel flowers now inlaid into Bloordale sidewalks. 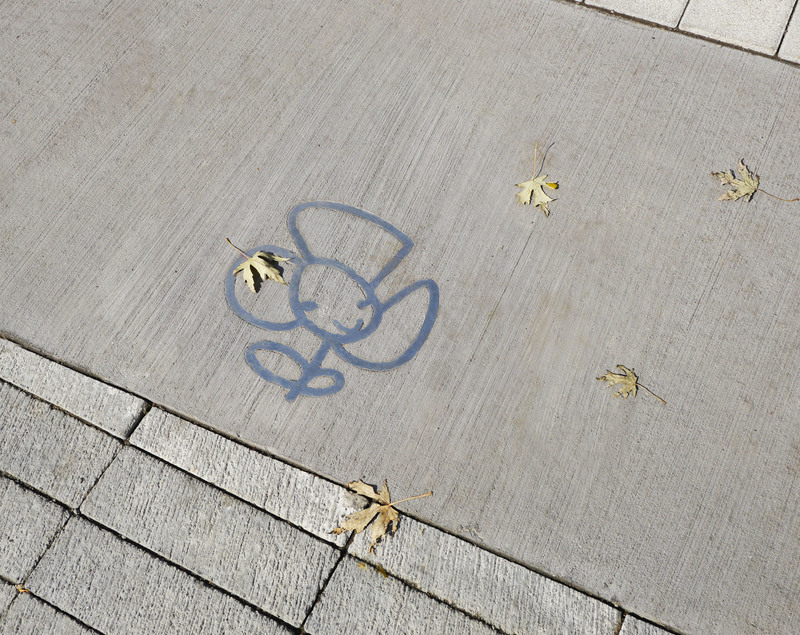 The artwork creates moments of discovery when accidentally finding a sidewalk flower when walking along Bloor Street. 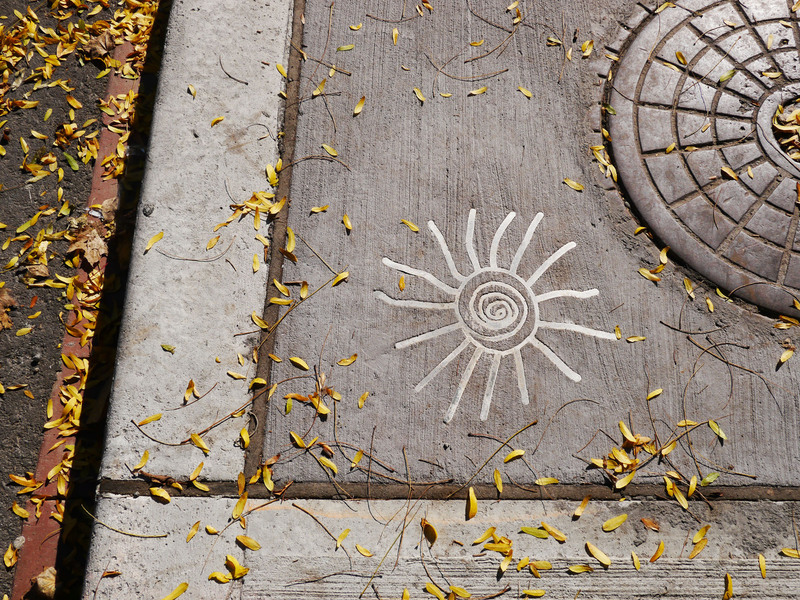 Together, the sidewalk flowers make a permanent sculpture garden and community memorial with each flower invested by an individual story. Woman at Savards Shelter: some residents with experience of multiple problems of abuse, addiction and mental health issues, met weekly to discuss ways of coping better despite hardships. On the group’s first anniversary they gathered for a drawing workshop to mark the occasion and each member made a flower for Bloor Garden. High School students at Bloor College: students drew flowers for Bloor Garden in a special art class and provided written statements for their images. One student contributed poems describing her much-missed early childhood garden in Iraq. Older adults at New Horizons Tower: residents hosted a drawing party with tea and cakes. 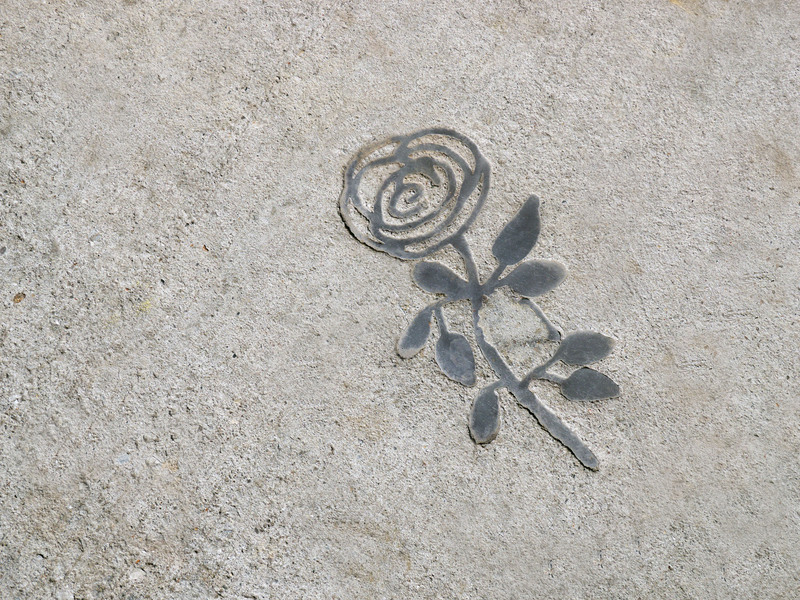 One man made a drawing of a rose in memory of his mother who died 40 years ago. Toronto Botanical Garden partnered with Bloor Gardens and supplied a tent filled with garden plants, flowers and herbs as well as a working, glass-boxed bee hive, project information and drawing materials at the BIG on Bloor Festival 2012. BIG on Bloor Festival 2014: the festival featured a Play Fair garden pavilion, designed from balloon flowers, that sheltered a Bloor Garden information and drawing station. Young Children at Dovercourt School: the kinder-garden and day-care classes at the school contributed flower drawings. Bloordale BIA members joined local residents with young children at New Horizons Tower to draw flowers as a family activity. PULP Party as part of their Sterling Avenue PULP event in 2013, curated a Bloor Flower drawing event set amid light sculptures made from recycled working-drawings of draft flower-file print-outs. Studio Visitors dropped by to contribute drawings. One father brought his daughter to talk about school difficulties that were causing her depression and together they drew flowers. Others mailed flowers: writer Donna Lypchuk sent a drawing of the late artist Sybil Goldstein’s favorite flower, a chrysanthemum that was planted in front of Bloor Barista where chrysanthemum tea is served in glass pots. Sybil, a Toronto artist and cultural organizer, took part in the first, 2008 BIG on Bloor festival which attempted to create the longest dinner party in the world. Bishop Morocco High School Students worked as interns on the project and helped prepare the drawing collection for production as part their school art credit.